← Stan Bober, WCD Webmaster, Reports!! AN UPDATE TO THIS POSTING!!! Report From the Saltwater Club of Canada’s east coast!! 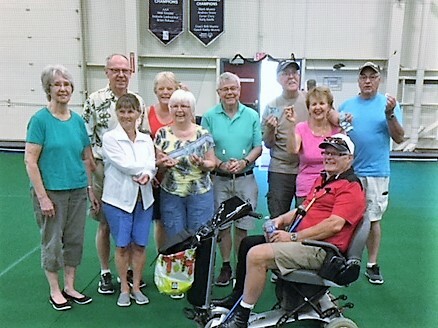 Pat and Doug Stockman Speak: An enthusiastic group of 30 Saltwater Club members enjoyed the first mingle/singles tournament of the summer season. Games were extremely close, with no member able to win all five games. 1 Response to Report From the Saltwater Club of Canada’s east coast!! Thanks for doing such an excellent job, Pat & Doug. Congratulations to everyone who participated.